It goes without saying that Steve McQueen was an icon. Also known as the ‘King of Cool’, McQueen stormed the American acting scene in the 1960’s and quickly made his mark on the growing counterculture of the notoriously tumultuous era. He went on to be one of the highest paying actors of all time starring in movies like The Great Escape, and winning an Academy nomination for Sand Pebbles. But besides the films, McQueen also left his mark on the watch world — often sporting his favorites on the silver screen. Today, his sense of style and famous accessories (like the iconic Persols) are still the topic of conversation. 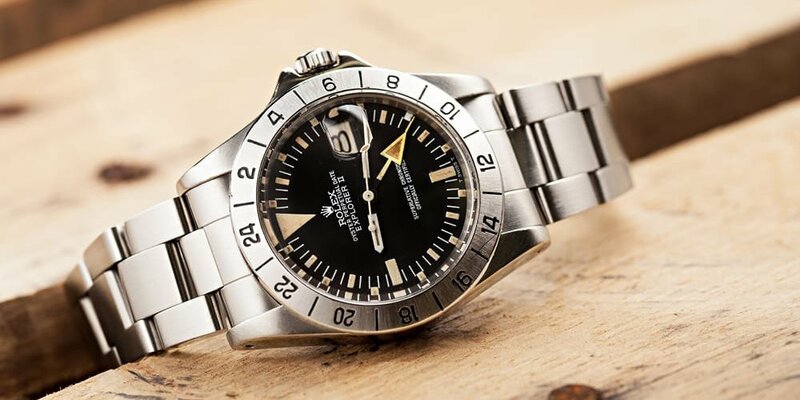 Even a watch was named after him — the Rolex Explorer II. Although, it’s still unclear if he ever even wore one. McQueen had an Explorer II reference 1655. But, like his classic watches, McQueen will always transcend time. While many know McQueen for sporting luxury timepieces, many don’t realize that his love for watches most likely started years before he was famous. As a child, McQueen had a notoriously rough upbringing but was given a gold pocket watch by his uncle before he left to be reunited with his mother. Much later on in his career, McQueen was famously known for adoring his Rolex Submariner ref. 5512. This watch did make it to the movies like The Towering Inferno and The Hunter, but, it most often was noted for appearing in more private shots of the movie star. Besides the fact that the Rolex Submariner ref. 5512 sat on a legends wrist, this timepiece is a stunner on its own. A late 1950’s model, it was renowned for its precision and accuracy as tested by the Swiss Chronometer Testing Institute. It was also much more rare and sought after than the ref. 5513, which wasn’t COSC approved. Of course, the watch is also water resistant, featuring a jet-black face, and stunning white hour markers and hands for easy reading. At an auction in 2009, McQueen’s Submariner 5512 was sold for more than $230,000 — a record for the reference number. McQueen also wore a Monaco 1133. Before product placement was even a thing, Steve McQueen was captivating millions by wearing some incredible timepieces in his films. In fact, McQueen was so well known for integrating his watches into the movies, that you can’t talk about his films without bringing up which model he wore. He’s known for the Rolex Speedking in The Great Escape, as well as the Jaeger-LeCoultre Memovox and a Cartier Tank Americaine in The Thomas Crown Affair. But, the watch that we’re all still talking about is that 1970’s blue Heuer Monaco 1133. 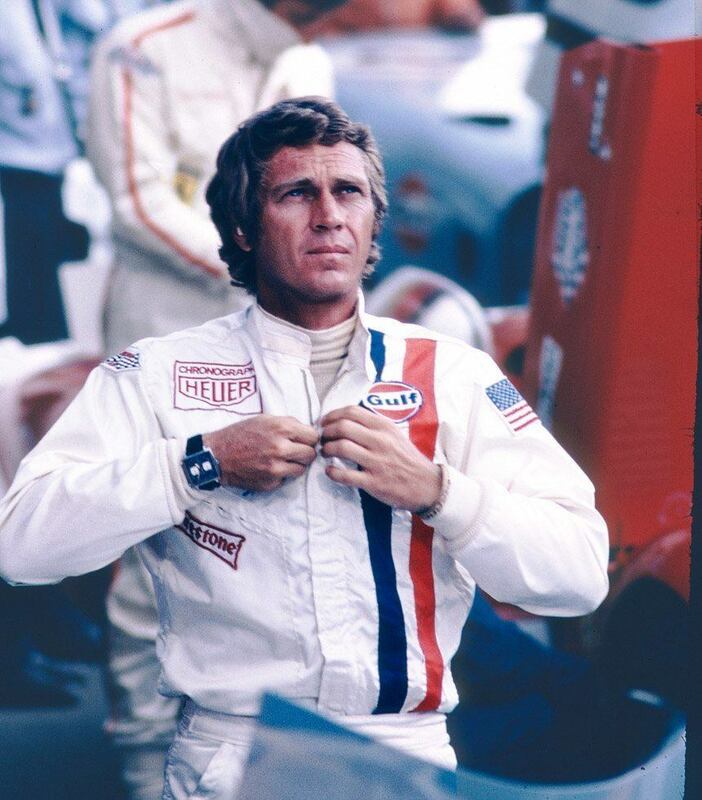 The Heuer Monaco 1133 is without a doubt the most famous watch McQueen ever sported in a movie. 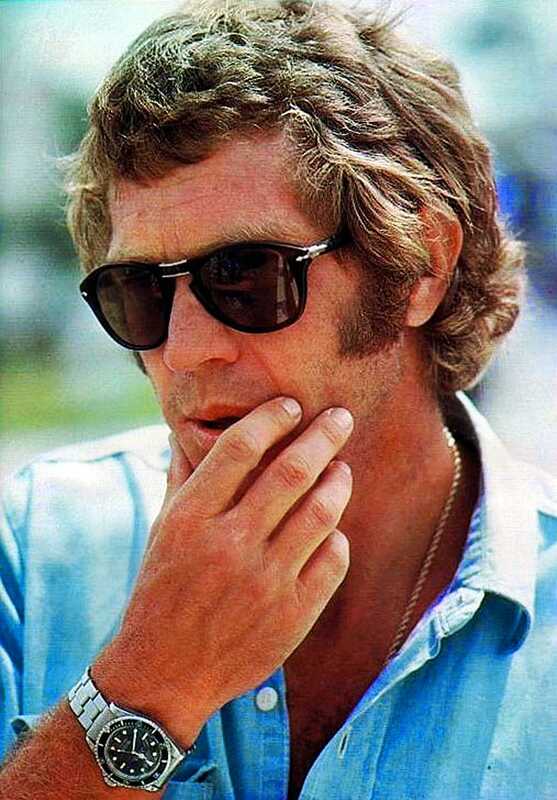 As the story goes, McQueen wanted to sport an authentic wardrobe for his role and Jack Heuer, who was already working with Formula One drivers and Jo Siffert to promote the timepieces, suggested his. The day production went to pick out the watch, the Heuer Monaco 1133 was apparently the only one Heuer brought several examples of. Needing a few to make it through filming, the Monaco was chosen, and a star was born. By just looking at this timepiece you know it’s special. The square frame and blue face are not only stunning, but it’s also the first ever square and waterproof automatic chronograph. McQueen’s very own Monaco 1133 sold at auction for nearly $800,000 back in 2012. Check out what McQueen-inspired watches we have in the vault. If you’re looking for the ultimate cool, you’ll want something remnant from this star.